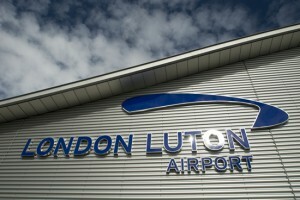 London Luton Airport is an international airport in the city of London serving the capital and the surrounding regions. 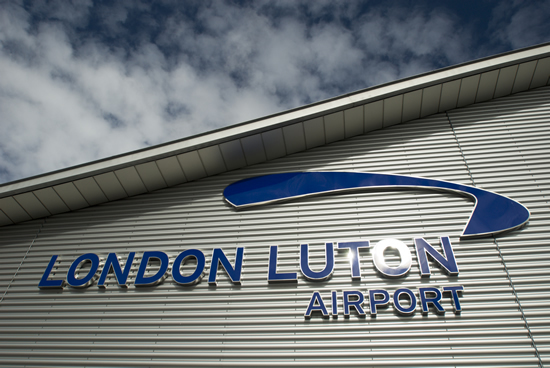 When it comes to large airports, Luton occupies the 4th place. Central London is 35.1 miles away from the airport and it is located in Bedfordshire. The M1 is the closest motorway to the airport, being only 2 miles away. 10 million passengers pass each year through this airport. They usually fly with EasyJet, Monarch, Thomson Airways and Ryanair and they come from Northern Africa, Asia, but also various European destinations. Luton Airport is also home to a train station. So as to get to it, you must use the shuttle bus, a journey that will take 10 minutes. Once you reach the station, you will have to wait for a train that will transfer you to the centre of London. There are 2 rail services that you can use: East Midlands Trains and First Capital Connect. Both of them are available 24/7 and they have costs starting from £14. The East Midlands Trains will make the journey in 21 minutes and the First Capital Connect Trains will perform the journey in 25 minutes. An option that resembles the Luton Transfer, but it’s not that comfortable is the coach. You have 3 services at your disposal: Terravision, easyBus and Green Line 757. Terravision runs from Luton Airport to Victoria Coach Station, Central London. Other stops on the way are Brent Cross, Baker Street and Marble Arch. A ticket for an adult is £15 and the buses travel every twenty minutes. The easyBus also runs to Central London and it stops at Finchley Road, London Victoria, Brent Cross, Baker Street and Oxford Street / Marble Arch. You can buy the tickets online and you will have to pay £2 for a ticket. The third option is Green Line 757, stopping at Brent Cross, Victoria Coach Station, Finchley Road, Hyde Park Corner and Marble Arch. Every 20 minutes, you’ll be seeing a bus stopping in the station. Keep in mind that during the night, the coaches run every half an hour. An adult ticket will be £17. The final option is the Luton Transfer. We’re talking here about both black cabs and minicabs. However, no matter which of the two you choose, make sure that you always ask for the price. The black cabs will offer you the price at the end of the journey, but you can ask them for an approximate price, as they know the distances and the routes. The minicab companies will offer you the price beforehand and this won’t change, no matter how much time you’ll be spending in the traffic. So as to know, a black cab from Luton Airport to Central London will charge you almost £80. On the other hand, if you choose to book a Luton Transfer with a company such as 247 City Airport Transfer, you will be paying only £54 for the smallest car..